Transport for London is responsible for the transport system within the English Capital, including the iconic underground tube network. London saw 15.5 million visitors from overseas in 2012, with a high proportion making use of the public transport infrastructure. TfL approached us to assist with their language requirements because of our multifaceted approach to translation. As we have been successfully working with government departments for in excess of 20 years it was a simple decision for them to join our portfolio. As TfL operates in many fields, they have a broad spectrum of customers that require different language solutions. We provide interpreters, translated literature and accessible versions of all their material; this includes Braille, Large Print, Easy Read and audio descriptive content. Due to TfL’s position as a publicly funded government department, they are required to provide all passenger information in accessible formats on request. We operate a dedicated contact line on behalf of TfL so passengers are able to contact us directly with their alternative format requirements. This number appears on all of their printed public information. Translation and typesetting of documents into 16 Languages: Arabic, Bengali, Chinese, French, German, Greek, Gujarati, Hindi, Italian, Polish, Portuguese, Punjabi, Spanish, Tamil, Turkish and Urdu. Adapting the document formatting and layout to accommodate the various growth and shrink rates for the different languages in comparison with the English source. Correct instances where the standardised TfL typeface does not support script languages such as Punjabi, and European languages that require an extended character set with glyphs that may not be automatically incorporated by the design package. Using paragraph and character styles, we ensure all English text remains in the standard font with translated information making use of an alternative typeface where necessary. 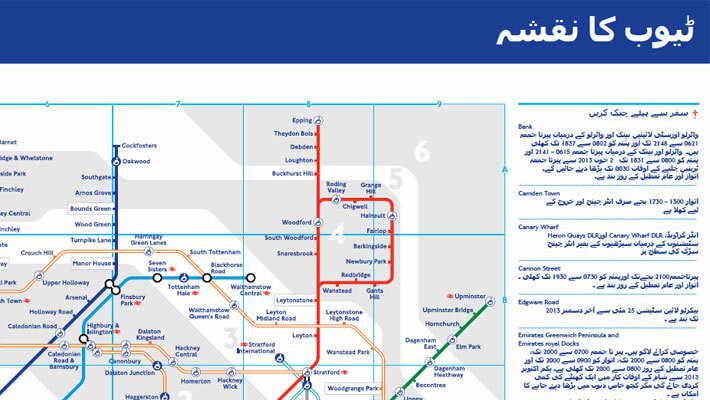 In the case of leaflets and booklets, inversion of the entire design layout is required for languages that are read from right to left (such as Arabic and Urdu). This involves sensitive handling to ensure that images and objects incorporating text are re-positioned rather than inverted and set out in such a way that the overall design remains effective. 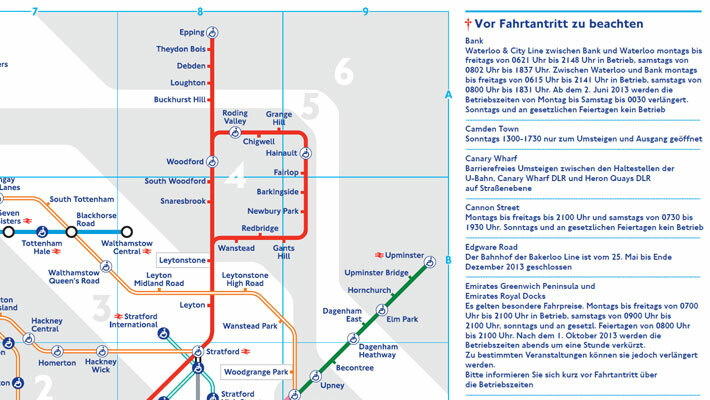 Many translated TfL documents contain a mix of both English text and R-L translated text within the same paragraphs, this requires careful manipulation of the text direction to ensure things like prices, web addresses, phone numbers and place names appear as mandated by the TfL style guide. 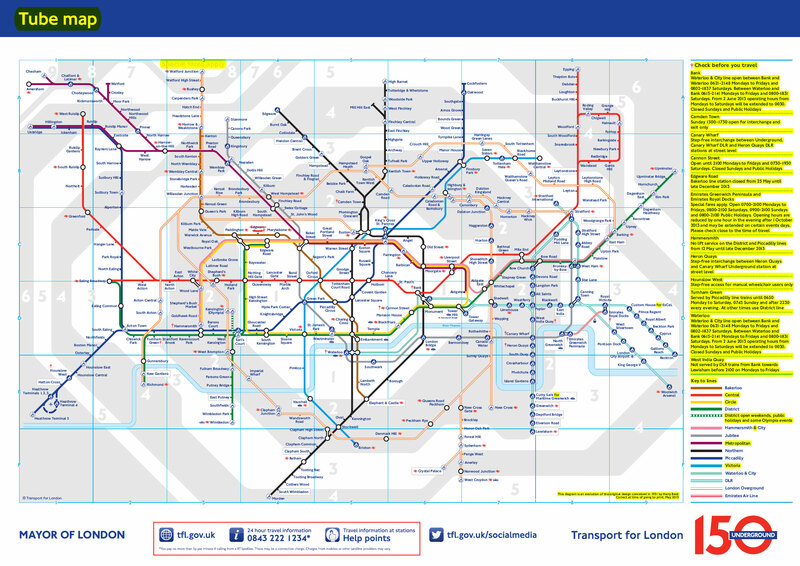 A specific example of one such project that we work on regularly for TfL, is the tube map. This is usually updated by TfL 2-3 times per year. The map design itself requires only minor translation adjustment. The legend contains information for passengers regarding opening times and station closures that must be translated to allow foreign visitors to understand and be aware of any travel restrictions. This particular project requires a 2 stage process for completion, firstly any new information that didn’t appear on the previous version of the map is passed to specialist translators, this is then independently proofread by a separate linguist. 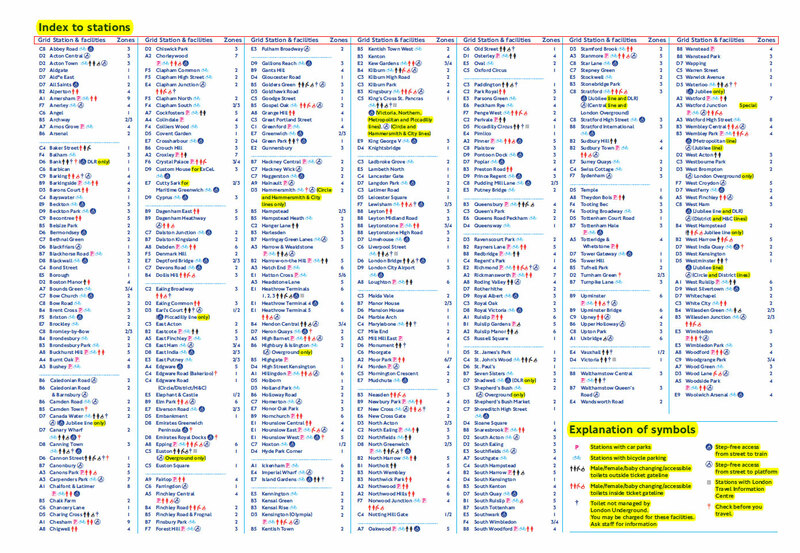 If the same information exists in an older version, it is reused to ensure consistency. Every translator working on a project for TfL has access to previous translations via our software memories and archives, this ensures linguistic parity is maintained. This is imperative as passengers may have differing versions, so by keeping the language consistent there is less chance of any confusion when in use. Once the up-to-date translations are completed and available, the project is passed to our in house design team, their role is to integrate the new information into the original artwork design of map. This involves varying degrees of complexity, dependent on the language involved. Certain languages present specific challenges for the designers, for example, German typically takes up around 30% more room in comparison with the original English, due mainly to the length of words. Arabic and Urdu require reformatting and adapting the design to reflect the right to left nature of the language. The design team is required to implement these languages whilst holding true to original’s design mentality and focus on usability. Once the Designers have completed this second stage, the entire document is passed back to the original translator. They proofread the document as a whole to ensure the design stage has not introduced any errors or usability concerns, and again make sure no language inconsistencies have crept in at any stage. If any issues are identified, the document is exchanged between translator and the design team at K International continually; until all parties are satisfied the document is ready for delivery. We have completed hundreds of projects for TfL over the course of our 15 year association; this has enabled us to build up a detailed knowledge of the clients processes, requirements and expectations. Thanks to our continued development of software and professional project management, we are able to consistently provide solutions to all TfL’s language requirements, regardless of the delivery method or final application be it web, print, face to face or audio/visual recording. We often supply translated products direct to TfL’s customers which demonstrates the client’s faith in K Internationals ability to deliver the highest quality material consistently. This integration has allowed us to free up resources at TfL, so customers requesting alternative formats can receive information directly from us rather than taking time to be processed at TfL internally first.